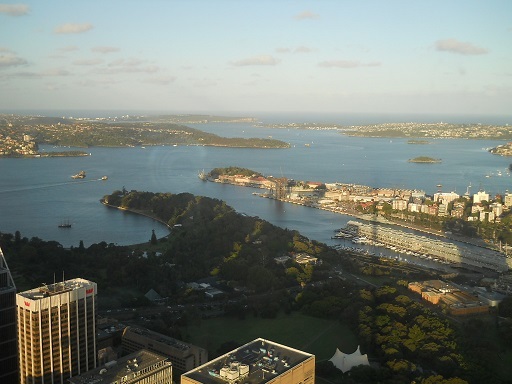 Filial Piety @ Aurora Australis (Part VI) : The Taronga Zoo & The Sydney Tower Eye! Finally, after so many hiatuses and “put-on-halt” moment, I manage to transcribe this last episode of my Sydney trip! Well, it was our second last day in Sydney which was 26th November 2013; so by hook or crook, we HAD to go out there venturing Sydney although it was a bit tiring as we just went to The Three Sisters at Blue Mountains the day before! 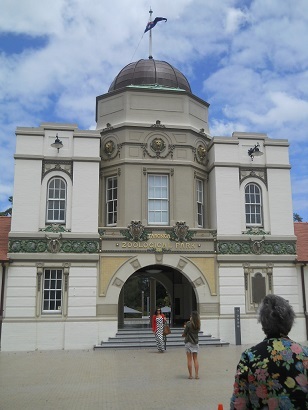 The majestic entrance of Taronga Zoo! Since Kakak already made a deal with the rent-house owner, we had 3 free passes to Taronga Zoo! So, why not using them instead of wasting, right? 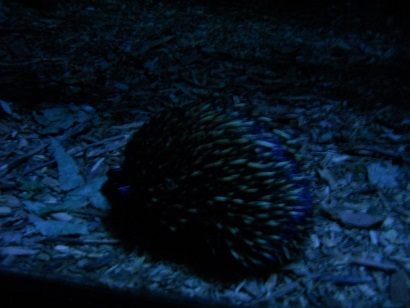 But I had to confess that I wasn’t really excited for Taronga Zoo because for me it was just another zoo – I mean, we already went to Featherdale Wildlife Park at Doone, right? 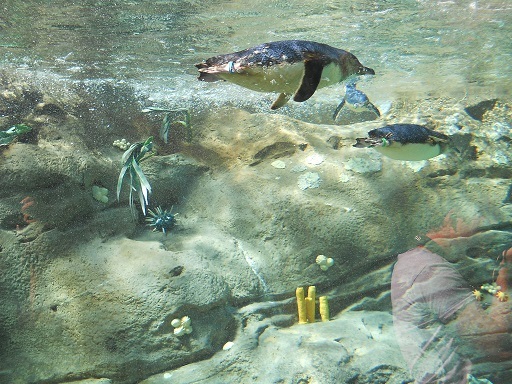 (REFER TO : https://undomiel84.wordpress.com/2013/12/05/filial-piety-aurora-australis-part-iii-sydney-sea-life-aquarium-the-blacktown-afghan-mosque-featherdale-wildlife-park-doonside/). But then, I was like “Whatever….”. Hahaha! 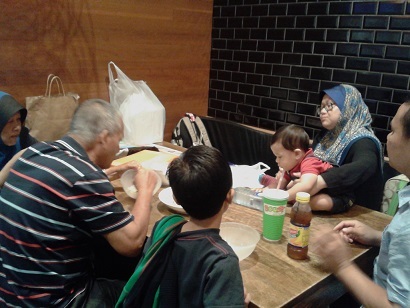 For this last trip, Ayah & Mak decided not to go; so off we went! In the zoo. We didn’t board the cable car, however! School trip! But what caught my attention was the Hijab-wearing teacher. Most of the pupils were Mediterranean-looking. Taronga Zoo can be reached can be reached from Circular Quay; so we just took the train from Campsie to Circular Quay. From there, we boarded ferry straight to Mosman, which is located at the North Shore of Sydney. 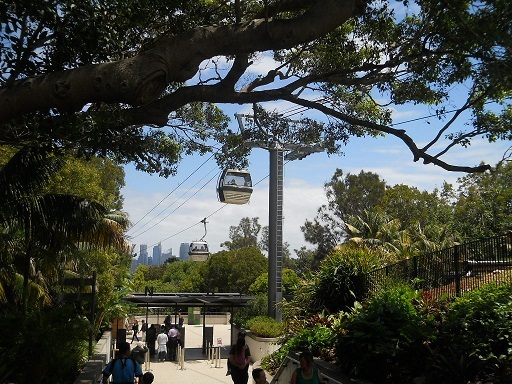 Once we arrived at the Taronga Zoo ferry wharf, I was already captivated by the majestic feeling of the zoo as you could see elevated terraces of the zoo compound! We decided to use the hop-on bus (via our MyMulti Card!) 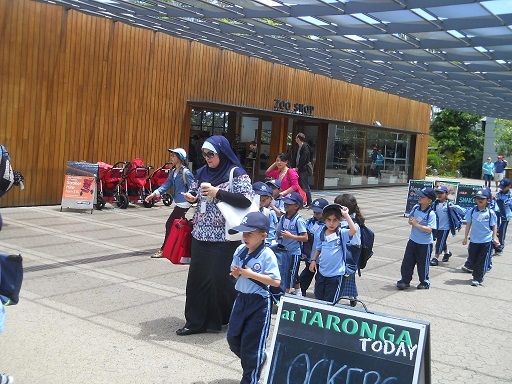 and we were whisked to the entrance of Taronga Zoo. My, was I blown away by the magnificent classic facade of the entrance! That was when I learned that the zoo was actually an old zoo, erected in 1916! No wonder the architecture has the Industrial Era ambiance! 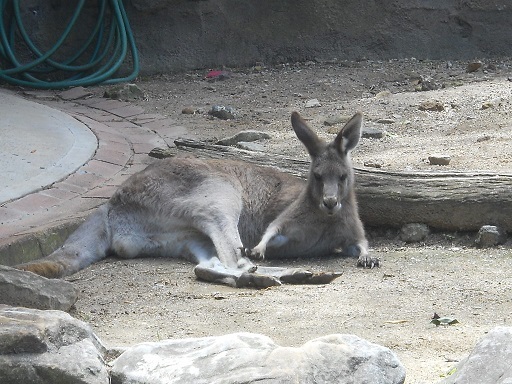 Kangaroo lazed on the ground. 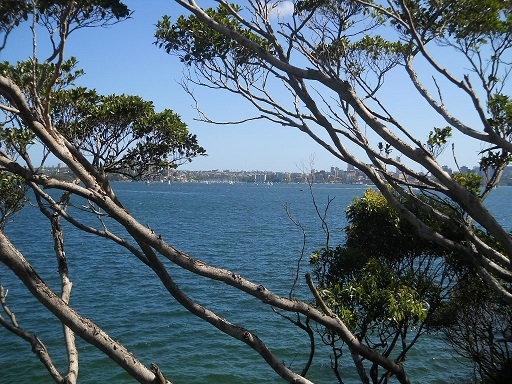 Since it is located at the shore of Sydney Harbour, the scenic view was immensely satisfying as you cast your eyes upon the beautiful landscape of the ocean. I guess that what sets Taronga Zoo apart from the other zoo. To tell the truth, the animals are more or less like the other zoos; except that the scale of the “havens” or “habitats” created for these animals are quite majestic in comparison to other mediocre zoos such as the Taronga Zoo Elephant Temple which is more or less like the Taj Mahal! Hahaha! Initially I thought there was a mosque or a musolla in the zoo as the yellow dome was very visible from afar. But then as we approached the building, I realized that it couldn’t be a mosque (Impossible!). Hahaha! A mosque??? Nay! It is the Elephant Temple! LMAO! It was also fun to scrutinize the anatomy of insects in a children’s corner where a few slides of specimens were laid under microscopic lenses. Beautiful! 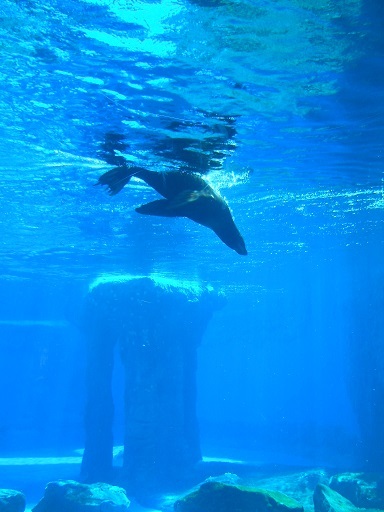 And to see sea lions and walruses swimming and gliding under water were somewhat very therapeutic as well. Subhanallah! We called the day off as the clock was approaching 3.00 o’clock since we had to perform Zuhr at CBD. So peaceful, isn’t it? Walrus swimming! 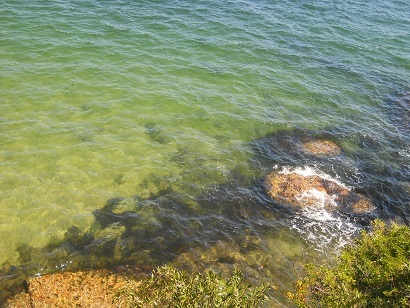 The beautiful beach at around Taronga Zoo. Breathtaking! 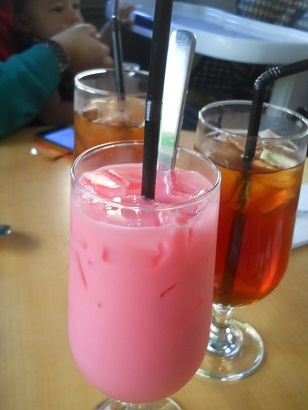 We had luncheon at Kasturi cafe (again! Hahaha!) with its delicious Hainanese Roasted Chicken (my mouth waters thinking about it now!) and the delicious sherbet of which they infused it with Sprite! I know it sounded a bit strange (at least for me, I don’t know anyone else!) 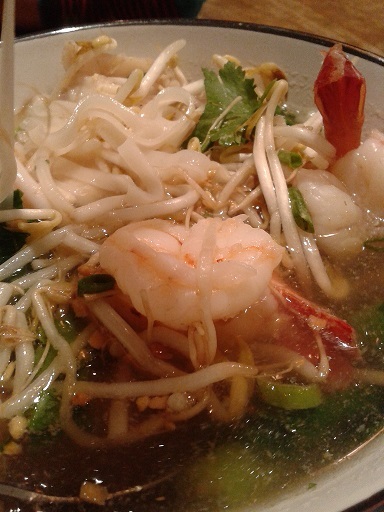 but the taste was so GOOD that I ordered another one! Hahahahaha! Love the sherbet a.k.a. Bandung. With Sprite mixture! 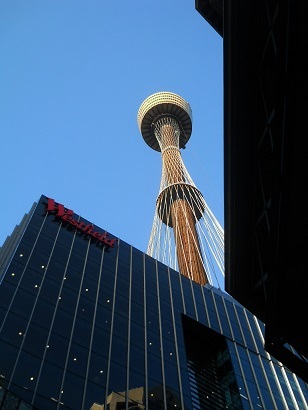 After that, we started the journey to our last destination which was The Sydney Tower! 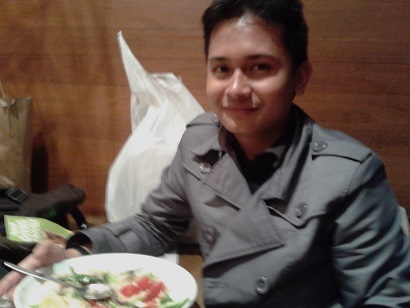 By using Abang Zam’s mobile phone, we managed to walk to Sydney Tower! Hahahaa! 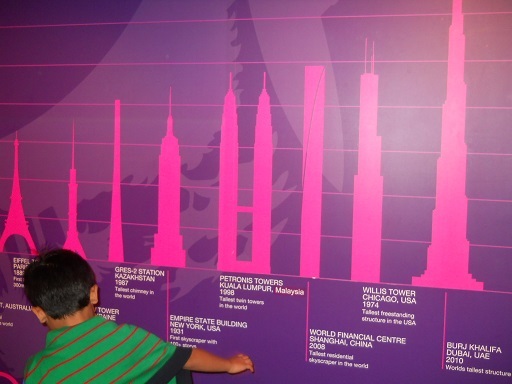 Well, the feeling was more or less like in KL Tower. Yeah, I know right? 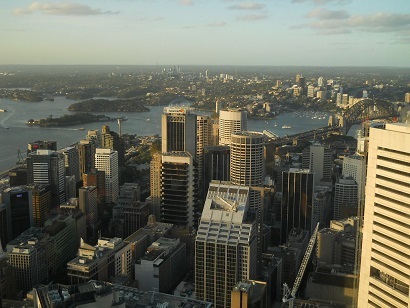 But then, since we were already in Sydney; why not savour the whole Sydney from bird’s eye – and since Kakak also got some free passes (from the rent-house owner, that is! 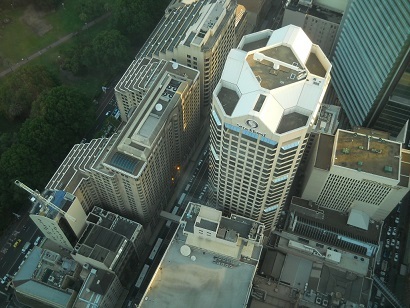 ), Sydney Tower is simply a must! 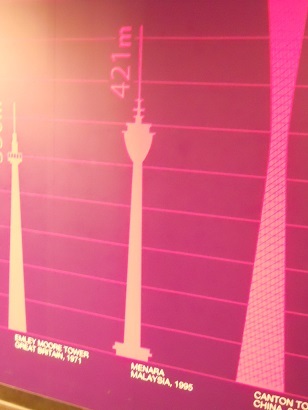 The Kuala Lumpur (KL) Tower is spelt as “MENARA MALAYSIA” (Malaysia Tower) ???? The Kuala Lumpur PETRONAS Twin Towers is spelt as “PETRONIS TOWERS KUALA LUMPUR”?? “PETRONIS”????? Hey, Merlin Entertainments who manage Sydney Tower Eye! You’ve gotta check your facts RIGHT! Sheesh! Clearly the management didn’t give a damn about doing any research! It is said that Merlin Entertainment owns Sydney Tower Eye so I really hope someone inform the management about this fiasco! 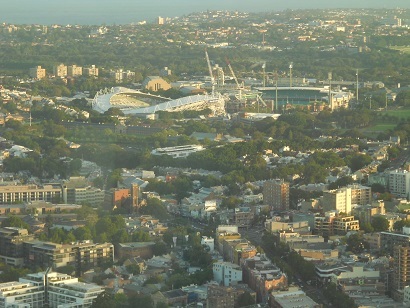 Anyway, it was a majestic scenery to see Sydney from bird’s eye. Subhanallah! 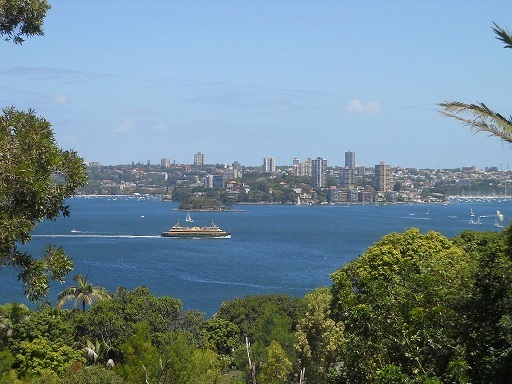 You could the whole Sydney – the township, the tall buildings, the abundant greenery, the ocean and also the small islands located afar. It was breathtaking; and to see the sunset from the tower was even better. Subhanallah! 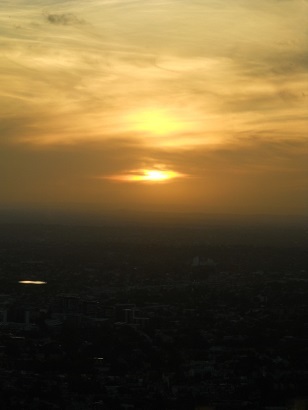 Sunset on Sydney Tower Eye. 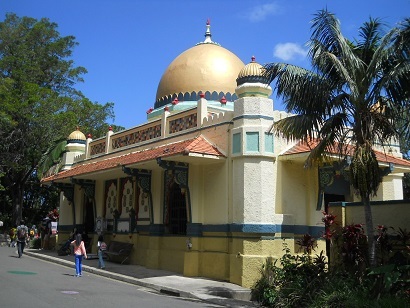 We then headed to King Feisal Mosque at Surry Hill (again! Hahahaa!) and then to Central. But suddenly, I had this ambition of seeing Opera House and Sydney Harbour Bridge at night because we never see them at night just yet! The problem was that Kakak wanted to go back as Raess was already tired and sleepy; in the end I thought I could go there alone and after all, it was our last night there! Initially, Kakak was not confident to let me go alone since two nights before, we encountered a few black teenagers making noises at Campsie and you know, being teenagers full of spirit, they yelled and they most probably were into vandalism (I don’t know!) or drunk! And somemore, my telephone was not working as I didn’t buy any Aussie Vodaphone nor I did any telephone-roaming. In the end, she agreed after giving me numbers of Malaysian Embassy and her Vodaphone numbers – Yes, perhaps this sound laughable for strangers but as a Diplomatic Officer, she thought about the matter delicately and prepared for cushion if there were any setback! 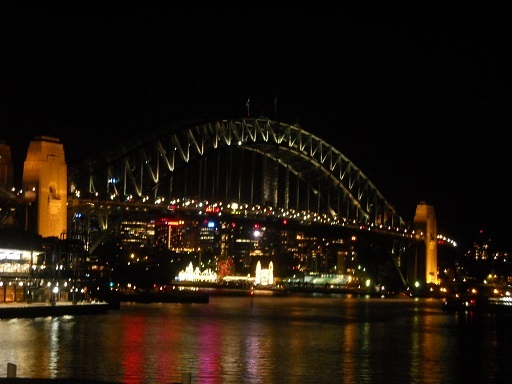 The Sydney Harbour Bridge & Opera House at night. So, off I went! It was ethereal sight during night time (but I guess it would look much better during the Vivid Sydney campaign, isn’t it?) but not many people thronging at the Circular Quay alley although most of them loafed around and drank in the alfresco cafes. You know, seaside has always become such an essential part in my life as a Penangite (though I don’t know how to swim! Hahaha!). As an islander, you can never take the strong affinity to the sea from my heart. I remembered that Kakak used to lie to me that she saw a mermaid while we boarded ferry during our childhood (well, being an androgynous-type boy, I have no qualm of saying that the girlish mythical characters were somewhat amusing! It’s embarrassing, but what to do? That’s what happened! Hahahah!). Anyway, it was peaceful and rather melancholic to note that after that night, I won’t be seeing the iconic buildings anymore. 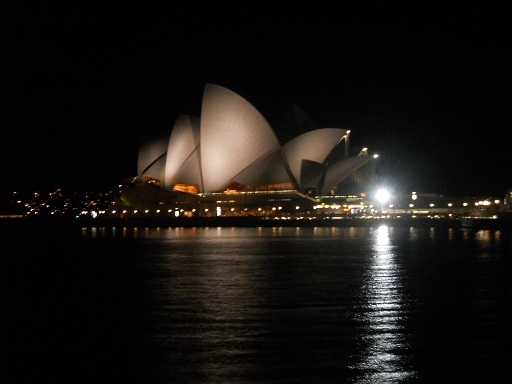 It’s a FAT CHANCE that I am going to spend my money traveling to Sydney again, right? Hahahaa! Having lunch at Halal-certified Taste of Thai at the Sydney (Kingsford Smith) Airport. Can you see the white box? That was the snowglobe box; before it was confiscated by the Aussie Custom!!!! Erghhh! So, the next day, 27th November 2013, we all got ready early as our flight was at 11.15 a.m and we had to be at the airport at least 3 hours earlier for international flight! Luckily, Ayah and Abang Zam managed to clean the house (AUD 200 deposit; in case the house was dirty, topsy-turvy, etc!). So we went to Campsie station by WALKING with all the luggage (and Ayah had to come-back-and-fro twice!). Had a small talking with this Indian-looking and Korean-esque Jehovah’s Witness messengers who happened to open a counter just besides the bench that Mak and I sat. The Korean lady was friendly; and the Indian was OK but sounded a bit pompous. Not knowing about Malaysia (I thought he was just feigning about it; just from the face!) and a bit shocked seeing me conversing about currency and all, he was a bit ignoramus. 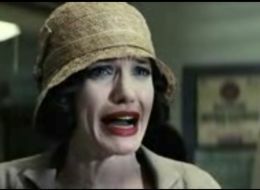 Erghhhhhhhhhhhhhhhhh!!!! I was heartbroken!! And of course I didn’t want to argue because we were in a foreign land and yeah, Australia customs are known for being so-called “stringent”. Arghhhhh! Seriously, for the first 3 hours in the plane, I was like complaining and badmouthing the officers like mad – Mak being a good listener; and yeah for another 5 hours throughout the journey, I have learned to be Tawakallah. Just let it go. It wasn’t my “rezeki”. Simple as that. I was calm when I accept that. We arrived at LCCT, Malaysia around 5-6 p.m. On whole, it was a great trip. I feel proud and happy that the aspiration to bring Mak & Ayah abroad with my own money crystallized. 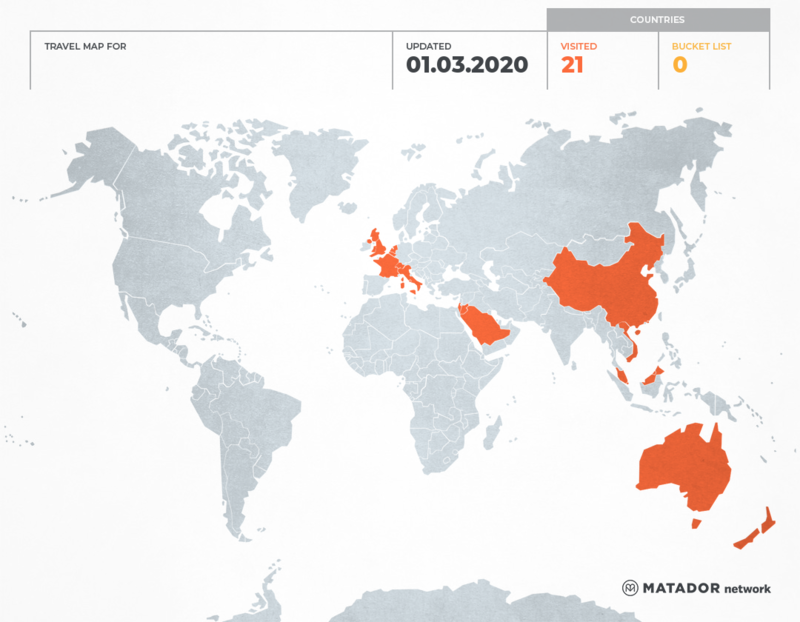 More trips in the future to come, Insya ALLAH! 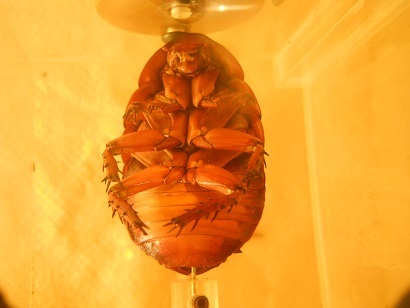 ← A Moon In The Twilight : The Year 2014 (Health, Wealth & Stealth) – To Dismantle The Comfort of My Chrysalis!